“Being kind to others is one of the most noticeable characteristics of a genuinely loving person,” says Christopher Wright (Cultivating the Fruit of the Spirit, 83). Kindness is tender and compassionate. It is others-oriented and motivated to work for the good of another. Kindness is a characteristic of love because it is characteristic of God. It should be an evident fruit of the redeemed because it is the nature of redemption. Kindness is a characteristic of active generosity towards another. Patience and kindness often go together in the Scriptures. We see them listed in relational order here, but we see it also in other places. So, in 1 Corinthians 13:4 we see love described first as “patient” and then as “kind.” Paul describes his gospel ministry as one of “patience” and “kindness” in 2 Corinthians 6:6; such characteristics define all God’s “chosen ones” in Colossians 3:12. And in Romans 2:4 the dual characteristics of God’s kindness and patience are meant to lead us to repentance. The two features go together, and they complement one another as compatible opposites. Patience is love that endures the offenses of another; kindness is the active pursuit of their good. “Being kind,” says Wright, “means being willing to do something, or to take some action, that helps somebody else even if it might be inconvenient to myself” (83-84). In this way it is an active giving. The gospel displays the kindness of God and serves as the grounds for our demonstrations of this fruit. The generosity of God’s sacrifice is worked out in our lives as we display God’s kindness towards others. This is fruit of the Spirit is driven by the gospel in the heart of those who have been changed by it. Kindness really is about the other. Any attempts to make my kindness about myself distort it. For God’s demonstration of kindness was self-sacrifice, was humility to the point of death (Phil. 2:6-8). As a Fruit of the Spirit, kindness mimics the grace of God in the gospel of our redemption. Jesus was never too busy to be kind. The cultivation of this fruit in our own lives means perhaps taking some things off our plate in order that we might make time for people. It means prioritizing people over projects. It means making others my ministry. It means leaving some things undone. Friends, God has been kind to us. He is kind to us every day. He is most evidently kind to us in the giving of His Son for sinners. As those who are empowered by His Spirit we ought to display such kindness towards others. 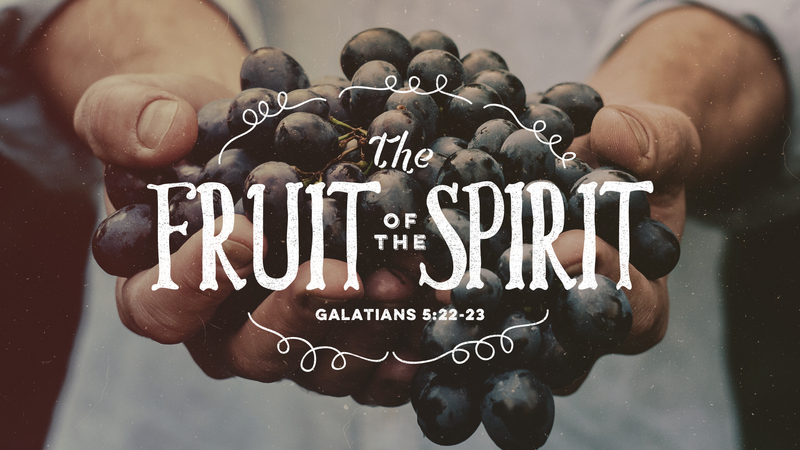 Cultivate this fruit in your own life, and the let the production of the Spirit blossom more gloriously.